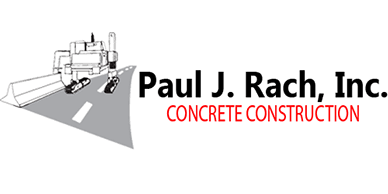 Concrete Contractors - Paul J. Rach, Inc.
Paul J. Rach, Inc. was established in 1961 and has become a leading concrete subcontractor in the tri-state area specializing in slipform construction. 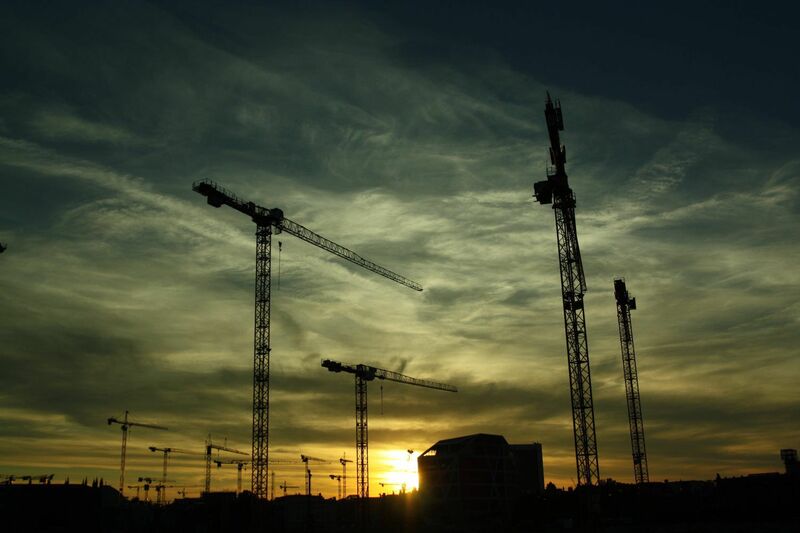 With over 50 years experience in slipform and hand form concrete construction, we pride ourselves on the ability to satisfy clients requirements and meeting their schedules. Our company performs all types of slipform construction from Barrier Walls, Curb & Gutter, Sidewalks, Bridge Parapet Wall, and Parapet on Retaining Walls. We also have various crews that perform hand work from Retaining Walls, Parapet Walls, Box Culverts, Head Walls, Concrete Paving, Pervious Concrete Paving, Storm Water Management Vaults, Curb & Gutter, and Sidewalk. At Paul J. Rach, Inc. we pride ourselves on our ability to meet our customer's every need along with ensuring the quality of the product we are installing. We not only take pride in our product but in our business as well, from the quality of our fleet to ensuring that every employee goes home safe at the end of the day. Prior to found Paul J. Rach, Inc., Paul J. Rach worked as a superintendent for Meyerhof Builders and realized their growing need for a curb & gutter contractor. With the help of Harry G. Campbell of Harry T. Campbell and Sons, Inc., who was also in need of a reliable concrete contractor, Paul started Paul J. Rach, Inc. In a couple of years, Paul started to get into State Highway and Baltimore County work as the company grew. By this time, Paul gad three crews run by Arthur Hopson, Nick Vecere, and Carmen Hurst who had all been with him since the beginnning. In the early 1970's the State Highway Administration started including Jersey Barrier work on their contracts, which quickly becomae a major portion of the work Paul performed. In 1975, the company purchased their first slipform machine for barrier wall and curb & gutter. At this time Arthur Hopson was promoted to superintendent and oversaw all field operations. Joseph T. Spencer was hired in 1976 as the company's first estimator. Early in 1980, Arthur was promoted to Vice President and remained superintendent. In 1985, the company added two more slipform machines when the I-270 widening project started. At that time the company was running two slipform machines full time and the third part time, and had five crews. Paul J. Rach retired at the end of the season in 1987 and Arthur Hopson assumed the position as President and Joseph T. Spencer was promoted to Vice President. Harry L. Bortner was hired in 1993 to become the company estimator. The company continued to grow under the direction of Arthur until his retirement in December of 1993. Joseph T. Spencer assumed the position of President in January of 1994 and Harry L. Bortner was promoted to Vice President, who continues to serves as the company's senior estimator. Today the company has eight crews and continues to grow.